In the summer of 2015 Hungary built a new and shiny fence along the border with Serbia and Croatia to keep refugees out. 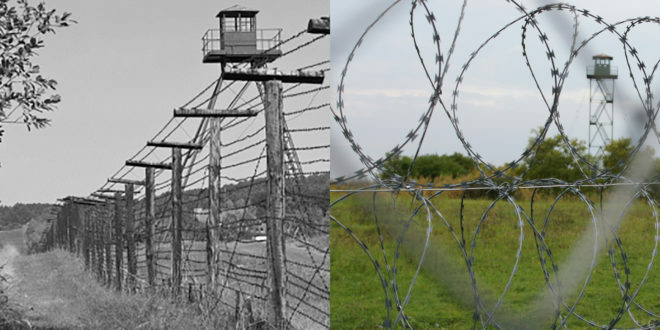 In 1989 the same country was the first to break open the Iron Curtain, the fence to keep people in. How could that be? We went to see the new fence and the old border for ourselves and made the multimedia longread The Return of Barbed Wire, a tale in video and text of two men at the border, who suddenly find themselves in the centre of historical attention. Read and watch here.